After this summer, I tried my best to ignore news about the movie and did a decent job. However, yesterday my wait was over and I was surprised by wife. I watched Star Trek on DVD last night for the first time and it was everything I expected. 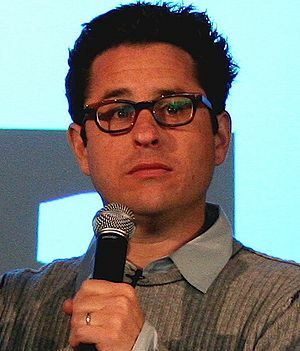 In the extras section, JJ Abrams commented that they had hoped to create a refreshed modernized version of the original story. This by far is superior to the Star Wars Prequels. Over time I believe that this could become a valid and productive SciFi series again. Kirk and Spock are the center of the story but the aspect of fate and destiny are the crux of the issue. The relationships of the other reliables are here as well and the romance story is nice, unexpected but true to the concept of Vulcan life. Even though the inside jokes and geek one-liners are present throughout, I must admit that the campiness is gone and a raw realism is back in the story. STNG was missing a lot of that until the final production years but DS9 and Voyager were a cut above and you can see that in this movie. I would love to own this one day but for now a one night rental was enough to get the geek fix. It is a shame that the movie got lost in a lot of the noise made bu Transformers and GI Joe; however, this one will more than likely have the staying power and profitability that the other franchises may never know.